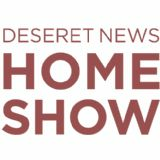 Find fresh inspiration, helpful tips, innovative products and fantastic deals in remodeling, home improvement, design and fall outdoor projects with hundreds of experts all under one roof. From windows and flooring to cabinets and decor plus so much more. Shop, compare and save for 3 days only!